The Cry of Pugad Lawin Shrine was developed by the Pugad Lawin Historical Committee created in 1983. It was the site of the house of Juan Ramos, son of Melchora “Tandang Sora” Aquino. 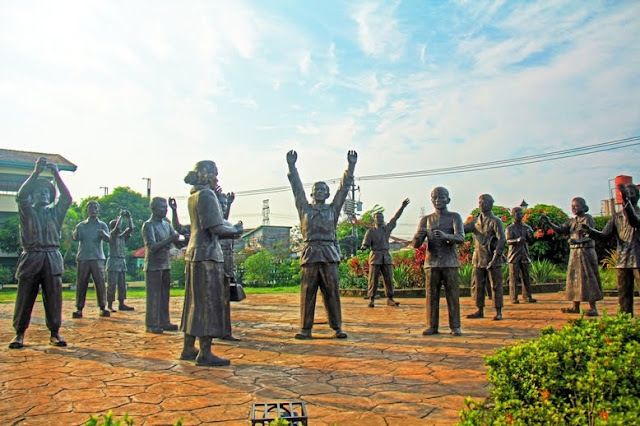 On August 23, 1896, Andres Bonifacio together with other Katipuneros tore their cedulas on this place as a sign of rebellion against the Spanish rule, hence, the “Cry of Pugad Lawin.” The site was developed in 1998. The statues were made by National Artist Napoleon Abueva.